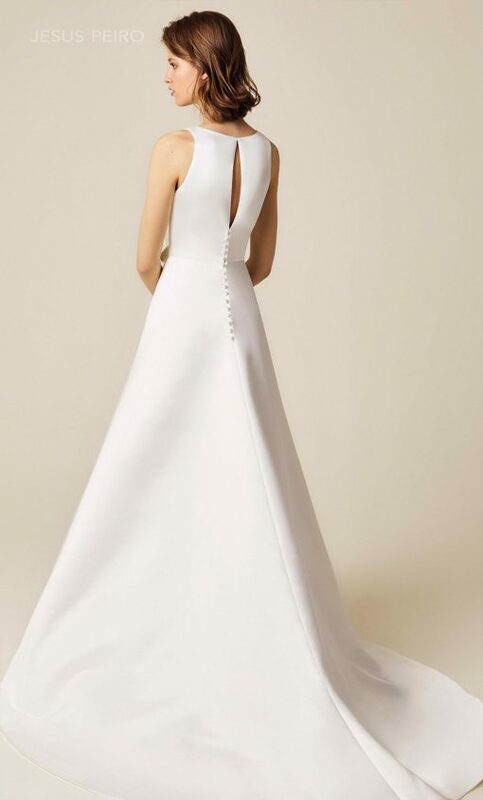 Jesus Peiro 955 is a wedding dress with teardrop shape neckline at the front and back. Half evasée skirt with great central pleat. Embellished with a draped satin bow.